Take care of your ID needs quickly and easily with the Enduro3E Smart Mag Single-Sided ID Card Printer, available here with a smart and magnetic stripe encoder for programming HiCo and LoCo cards. It uses dye sublimation / thermal transfer printing technology to produce sharp imagery at a resolution of 300 dpi, and it can work with either CR-80 or CR-79 cards. An added benefit of this model is built-in HoloKote and rewritable technology. HoloKote further boosts security by printing one of four holographic designs onto the card. 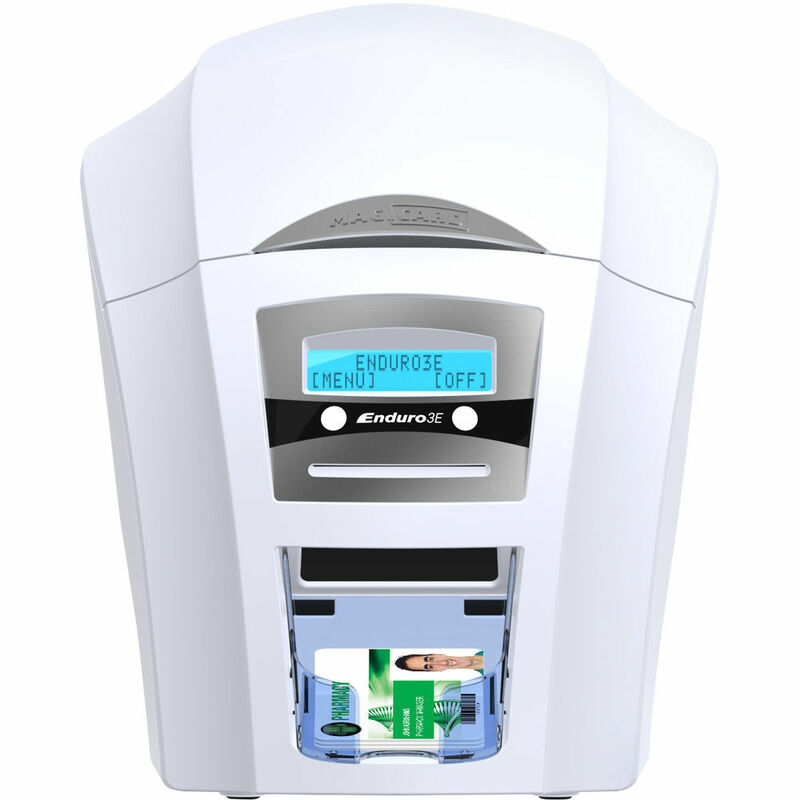 The Enduro3E Smart Mag will print edge-to-edge and has impressive speed, reaching up to 100 cards/hour in color or up to 500 cards/hour in monochrome. Operation is simple with a two-line LCD display and both USB and Ethernet connectivity options. It also has a 100-card input feeder and a 30-card output hopper along with a manual feed slot for card handling.